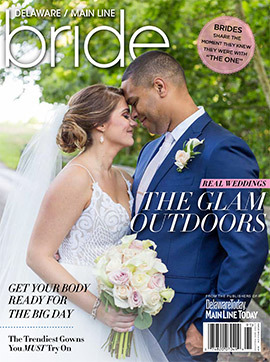 Ombré—the gradual blending of one hue to another—is a bold way to showcase your wedding color. 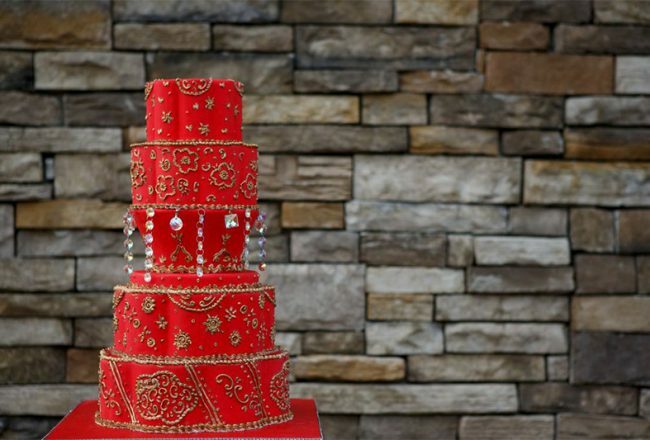 These are the sweetest wedding cake trends of the season. 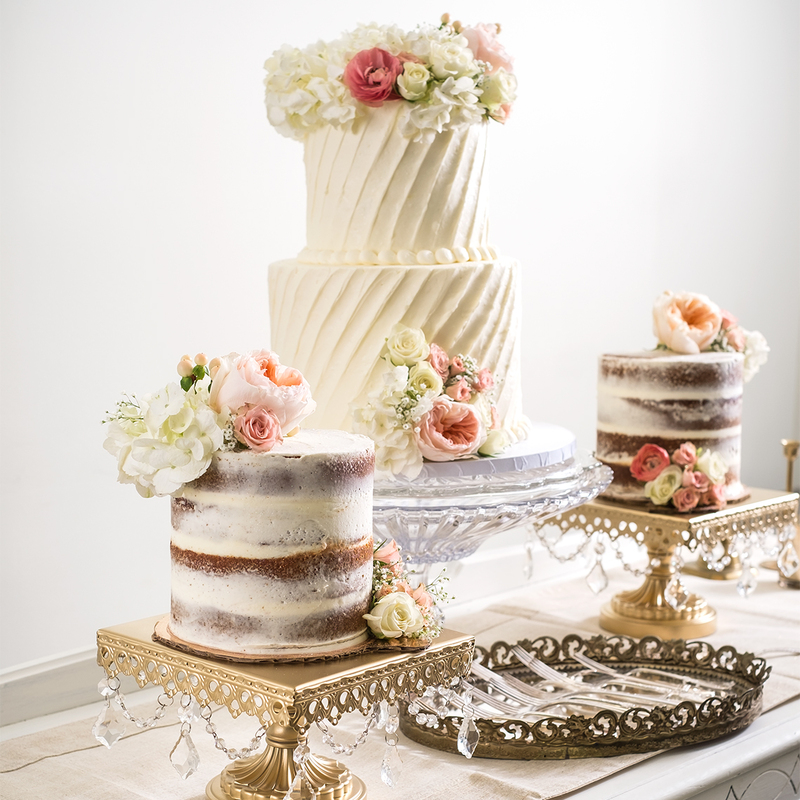 Two-tiered cakes still have a presence. 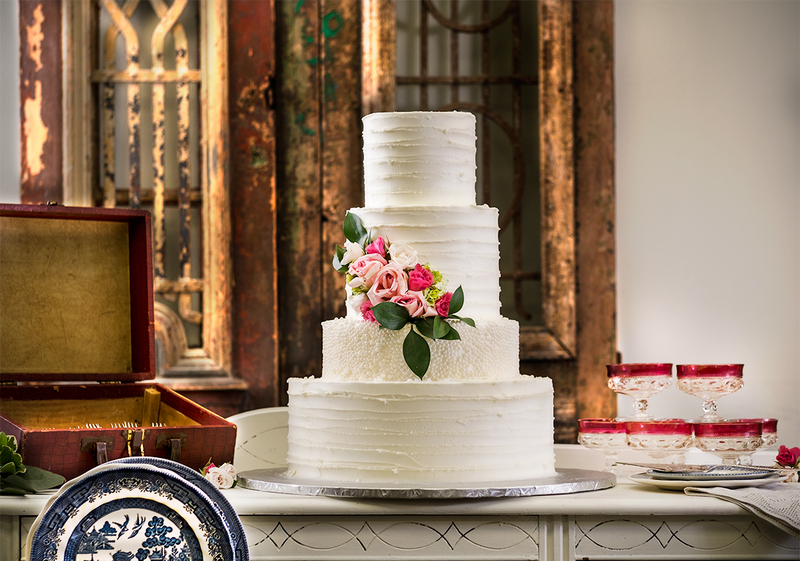 And naked cakes buck tradition, forgoing fondant for fresh flowers. 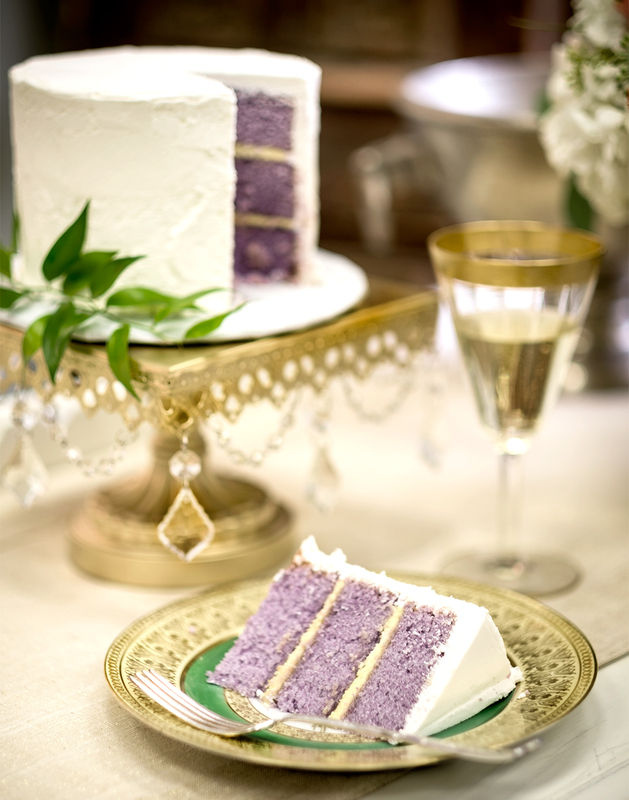 Outside appearances aren’t everything, like this delicate lavender cake with lemon cream. 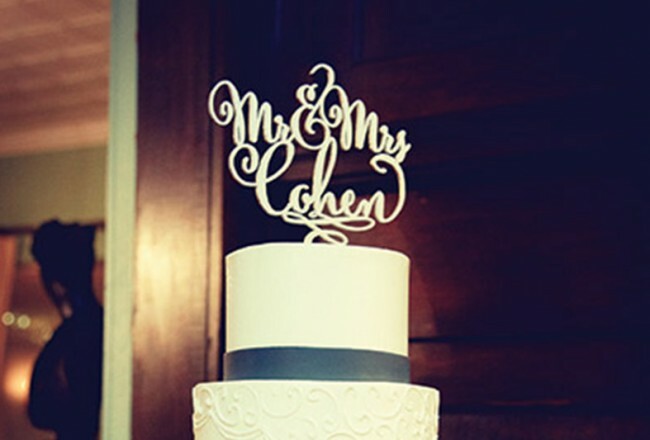 The great thing about buttercream icing is the texture it creates. 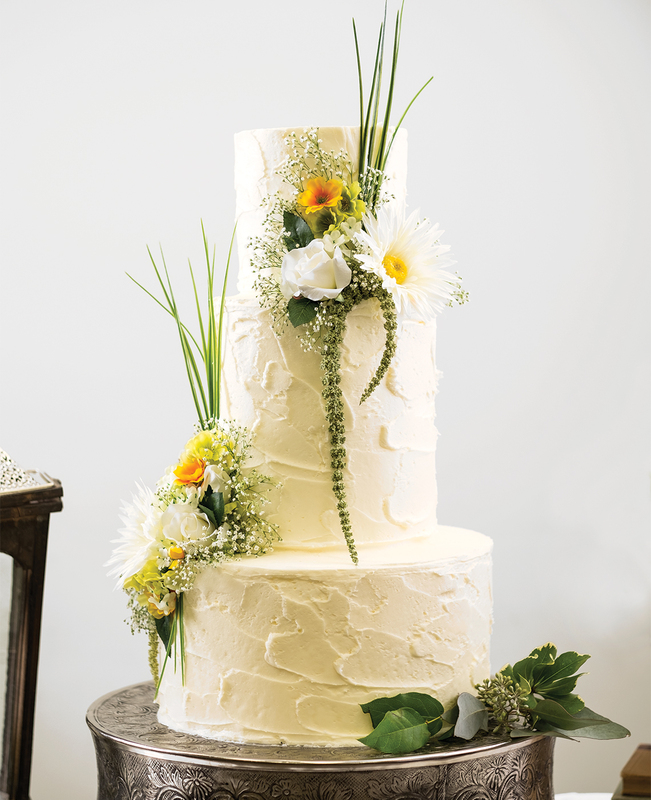 This simple yet elegant white cake comes to life with the addition of flowers as decoration. Earthy themes are hot this year, and couples are carrying the aesthetic through all the way to the cake. 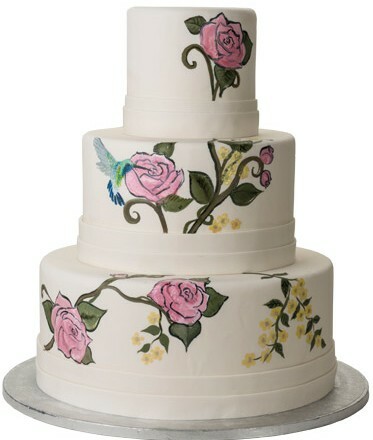 Order a simple white cake decorated in the flowers and greenery of your choice.